Technology has been a great leveller and has democratised entrepreneurship in India. Today’s young entrepreneurs live in a different world. They are dreaming of billion-dollar startup enterprises and turning down eight-figure salary offers from MNCs. The first catalyst of change in India came in the form of reform policies, introduced post 1991, which eliminated most of the permit restrictions of the Licence Raj. Entrepreneurs had the freedom to set up any business and the net result was a big gain for them. It became cheaper and easier to start new companies. Then came the Information Age. IT industry flourished in India as the barriers to entry were quite minimal. It was very easy to register an IT services company. And it didn’t need a lot of capital either. Then came the Dot Com era. After this, when the Internet boom began, it made it easier to set up a dot com company and attract high valuations. It seemed like entrepreneurship had finally arrived in India, with companies like Indya.com raising millions by just launching information portals with no visible path to profits any time soon. Rediff.com with accumulated losses of $8.2 million did not even qualify to list on BSE and yet was able to list on NASDAQ and raise $55 million. The eventual crash of the internet bubble deflated many hopes of the entrepreneurs. It looked gloomy for a while, until the mid 2000s when a few brave entrepreneurs started heading back to the choppy waters of entrepreneurship. Sachin and Binny Bansal left their jobs at Amazon and started Flipkart in 2007. The trend was just about beginning to catch up. Then came the smartphones. Even as we speak, we are adopting cloud computing in droves and the faster 4G LTE for smart phones. So, young entrepreneurs are able to solve India’s unique problems innovatively and then expand to other countries. Redbus is a great example. They solved a nagging pain point of Indian consumers by organising the fragmented bus industry. 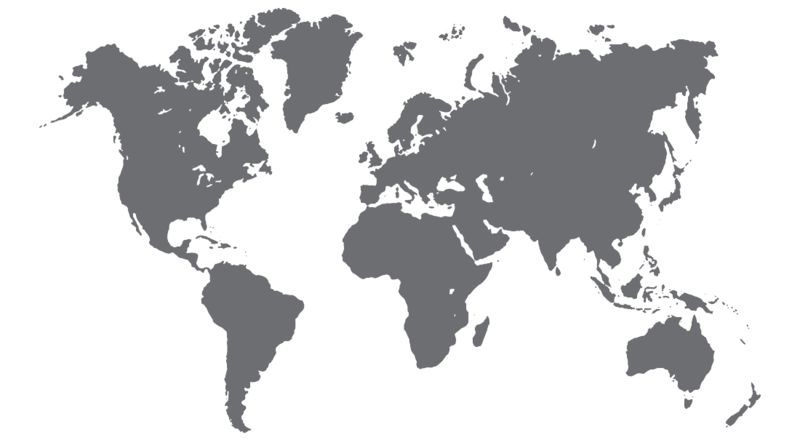 Now, the company is working to expand into Singapore, Malaysia and China. Same with another Indian success story Practo, one of the biggest successes in the healthcare IT field. Practo succeeded where even the biggies like Microsoft and Google failed to generate traction. Thanks to the growth of mobile phones in the country, Practo was able to capture 80 per cent market share by giving every individual a health account and helping them find the best doctors. They expanded to Singapore and are now aiming their guns at the US. And now, the golden era. This is perhaps the best time to be an entrepreneur in India. Technology is cheap and freely available. Smartphones are growing at breakneck pace and everyone has in their pocket a connected computer that is ten times more powerful than the PCs when Bill Gates started Microsoft! Today, it takes very little money to whip up a prototype of your idea and test if the market and demand exist for it. Thanks to the immense popularity of social media like Facebook and Twitter, it is very easy to spread the word too. There is more money chasing fewer startups these days, which explains the astronomical valuations of the few high quality startup ventures. The profile of an average entrepreneur is also vastly different from few decades ago. Today’s young turks include founders of Housing.com who chose to startup instead of taking attractive salaries upon graduation. Ritesh Agarwal dropped out of college to start Oyo Rooms at the age of 19. 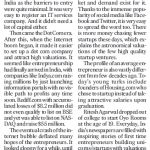 Everyday, India’s newspapers are filled with inspiring stories of first time entrepreneurs building unicorns (startups with valuations exceeding a billion dollars) in a few short years. These are exciting times. India is seen as a better place to startup than anywhere else. This is evident from the fact that even young Americans are shifting their base to India to try their hand at becoming successful entrepreneurs. Lucas Bianchi moved from New York to co-found Namaste Credit. David Back and Greg Moran dropped out of prestigious US business schools to move to Bangalore to start Zoom Cars, a self-drive car sharing company. And, Valerie Wagoner moved to India to start the missed call marketing company, which Twitter acquired earlier this year. There’s no question that India has never seen a more vibrant and positive entrepreneurial environment like this before. If the Bansals and Bahls can do it, others sure can too.